More than 130 recipes for meat, fish, fruit and vegetables. Beverage suggestions to accompany each recipe. 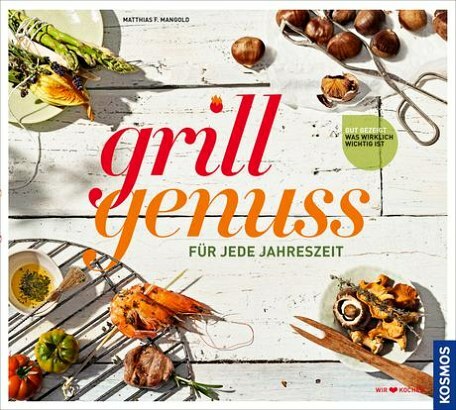 Product information "Grillgenuss für jede Jahreszeit"
Think a BBQ is just for summer? Think again! True barbecue fans can use fire and flames to serve up fine food from the grill. 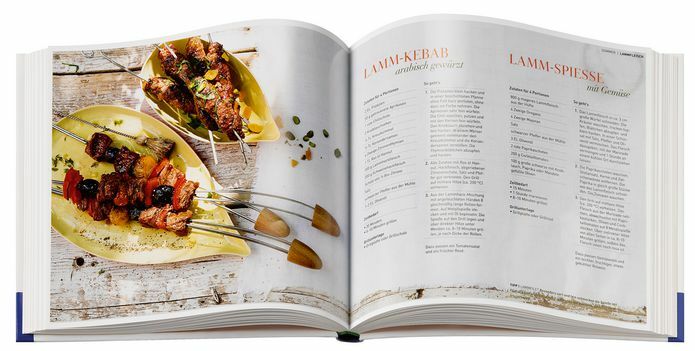 There’s always an excuse for a BBQ: A New Year barbecue with mulled wine, a summer festival with Mediterranean specialties, a BBQ for a girls’ night in, childrens’ parties ... this book presents recipes for all occasions. The many marinades, sauces, dips and condiments add an extra helping of flavour.